Rising demand for models like VW's Up minicar have helped boost output in Slovakia. BRATISLAVA (Reuters) -- Volkswagen said production in Slovakia soared in the first half of the year, almost outstripping output for the whole of 2011 following rising demand for its Up minicar model and strong output of SUVs. VW made more than 209,400 vehicles in the first six months of this year, compared with 210,441 in 2011. The plant, near the capital Bratislava, produces SUV models including the Volkswagen Touareg, Audi Q7, and parts of the Porsche Cayenne. 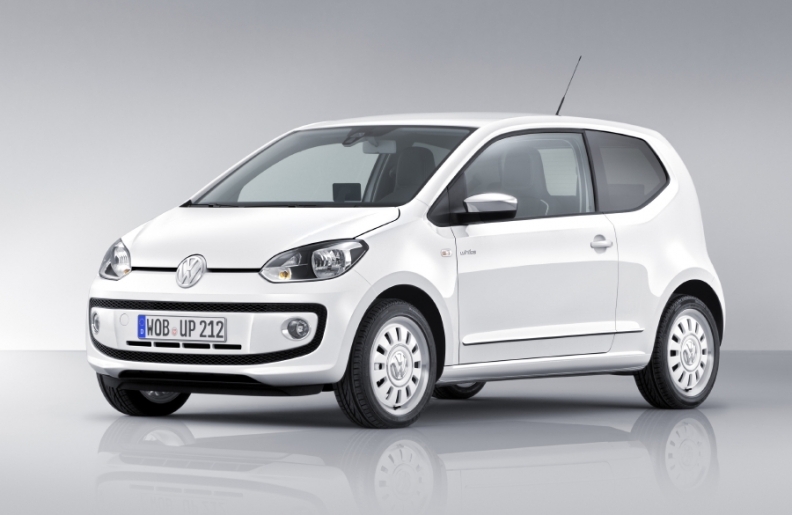 It also builds the VW Up, a model in the automaker's ''New Small Family'' minicar lineup. The automaker, which plans to invest an additional 1.5 billion euros ($1.89 billion) in the central European country by 2016, said SUV models had a 56 percent share on the overall production, while the Up contributed 44 percent. The numbers were in line with the carmaker's plan to nearly double Slovak production this year after a 45.6 percent increase in 2011. Volkswagen, one of Slovakia's three top exporters along with the Slovak unit of Kia Motors and PSA/Peugeot-Citroen, is the key driver of the country's export-reliant economy, which is bucking recession in the euro zone bloc. The company's Slovakian revenues rose by 43 percent in the first half of the year to 3.44 billion euros. Volkswagen Slovakia said it remains cautious about its outlook and expected volatility on the world's markets to prevail in the second half of the year. "We monitor the situation on the market very closely, and expect to boost production also in the second half of the year, compared with the same period last year," Volkswagen Slovakia CEO Albrecht Reimold said in an emailed statement.